Vote for Annette Rochelle Aben! 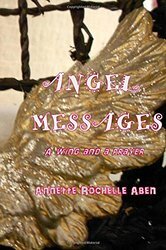 Annette’s book Angel Messages is in the Cover Wars and she needs your vote. At the end of the week (Sunday at 8 AM EST) voting will end. You can vote once per day, so vote now so you can vote again. Click the link below to go and vote! You don’t have to give any information. Just click and vote!